Have you had a great experience with our nursing and midwifery staff? Perhaps you could nominate them for an award, which acknowledges their tireless efforts and rewards their contribution to the care and service at Burnside Hospital. 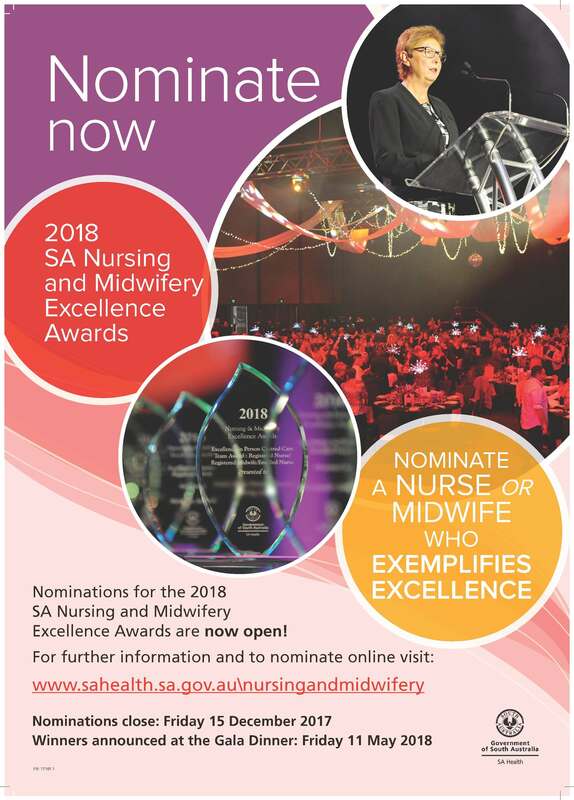 The 2018 South Australian Nursing and Midwifery Excellence Awards, recognise and acknowledge exceptional nurses and midwives within South Australia. The Awards also recognise best practice and the contribution and difference that nurses and midwives make within the community and their profession. We encourage you to nominate a nurse, midwife, or team whom you feel deserve to be recognised for their excellence. Thank you for joining us in celebrating our nursing and midwifery team. Please click the image below to access the nominations site.